As we mentioned in our previous article “Winter Gritting Complacency – Don’t Fall For It”, the weather has turned, so road and car park gritting has now become a priority for many businesses. The gritting season has started much later than in previous years, however, we had predicted this and are fully prepared. We took stock of another 2,000 tonnes of high quality dry rock salt back in the middle of December last year ensuring that our trucks have been able to continue our gritting services without delays. With overnight temperatures now well in to minus figures, our road and car park gritting services have become extremely active and our well planned processes are now showing their worth. 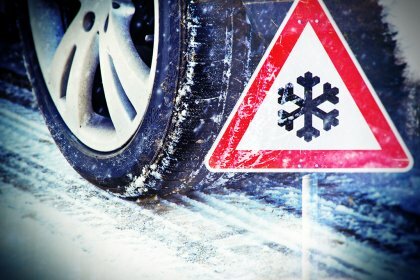 Companies have turned to Clearway Gritting for help as their previous road and car park gritting company have not been able to respond so rapidly. It’s not just roads that are in need of gritting. Due to the inherent way in which car park top decks can freeze at even +2degrees centigrade air temperature, it means we understand that there are occasions when a more proactive service is required. We pride ourselves on being a gritting company that has this built in flexibility and can react promptly to emergency gritting requests. We have already been out gritting and helping to keep our customers safe on 23 occasions since the beginning of January 2016. We understand that there are a number of issues that will have an influence on the weather conditions and believe that having a sound strategy in place to deal with the very worst case scenario is the best way to ensure that our customers’ businesses are kept running, even when the weather turns really bad. To ensure you have the right gritting services in place, please call us on 01727 851837 to arrange exactly the gritting service you need, when and where you need it.